Autonomous systems perform tasks and pursue goals in dynamic environments with little or no direct control by humans by sensing their environment and themselves, maintaining situation awareness based on this data, planning appropriately, and executing plans while reacting continuously to environmental and internal states. Typically this involves automatic fault detection, isolation, and recovery (FDIR); sensor processing, fusion, and perception; modeling the autonomous system and its goals and objectives, its environment, and other agents; intelligent planning and scheduling to develop plans based on the situation and goals, allocating resources to accomplish the plan; adaptive plan execution and continuous monitoring of the executing plan and the environment, reacting to changes as required; and replanning and/or reassessing goals and objectives when needed. Stottler Henke develops autonomous systems as well as tools and technologies for developing these systems more effectively. Challenges include real-time performance, unexpected situations, and the need to behave safely and intelligently without human help. 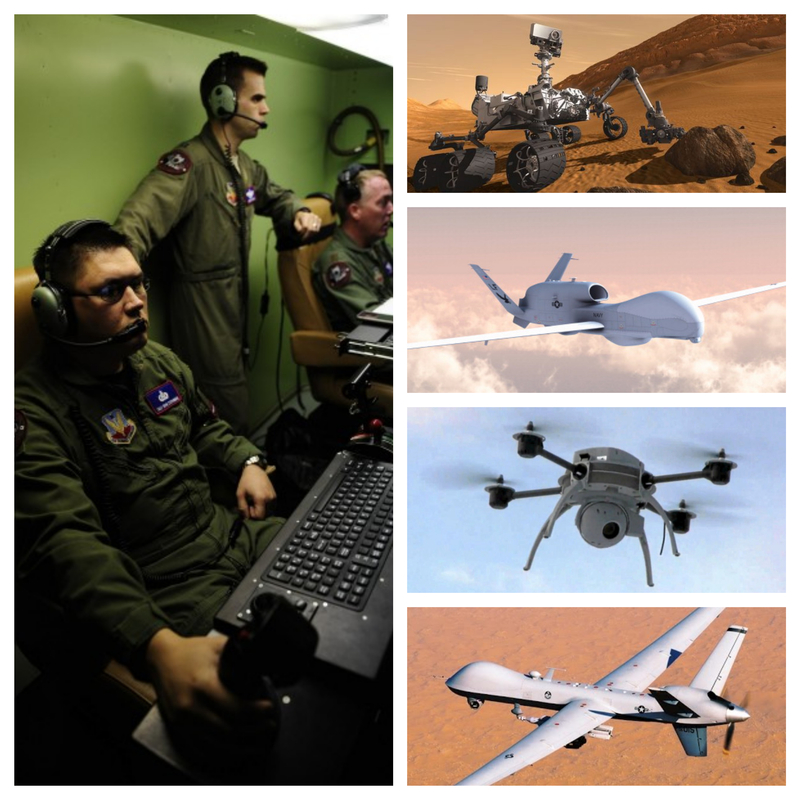 Developed for the U.S. Air Force, this system enables UAVs to recognize the intent of other aircraft by analyzing sensor data and air traffic control communications, so they can predict trajectories and avoid collisions. Developed for the U.S. Army, this system automatically plans aggressive maneuvers within a tenth of a second, so aircraft can avoid rocket propelled grenades (RPGs) and small arms fire. Stottler Henke is working with NASA to tightly integrate high speed, high quality Aurora™ scheduling algorithms with EUROPA’s autonomous planning systems architecture. Stottler Henke is developing a data fusion system that will implement human-quality reasoning to correlate and classify ballistic missile attack objects more quickly and accurately. Stottler Henke developed an initial prototype of SCOUT (Smart COordination of UAV Teams) for NASA’s Armstrong Flight Research Center. SCOUT is now being further developed for the US Air Force. For NASA, we are developing a highly visual integrated development environment to simplify and accelerate the creation of domain models, used by automated planning systems, which describe possible actions and their effects and constraints.